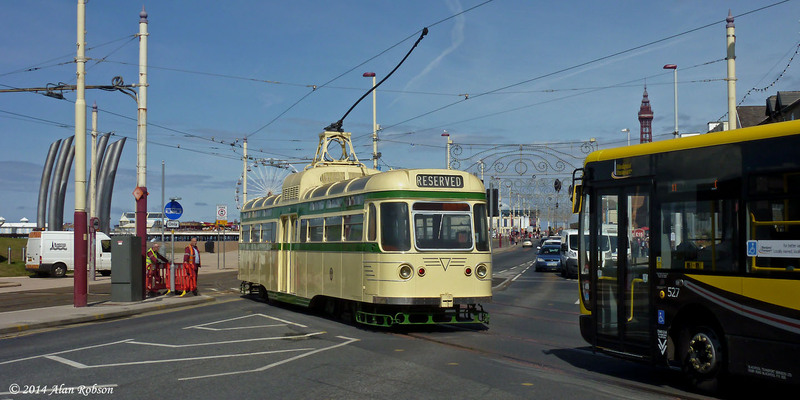 Former LTT Vambac Coronation 304 of the Blackpool heritage fleet ventured out for a test run along the Promenade on Wednesday 20th August. 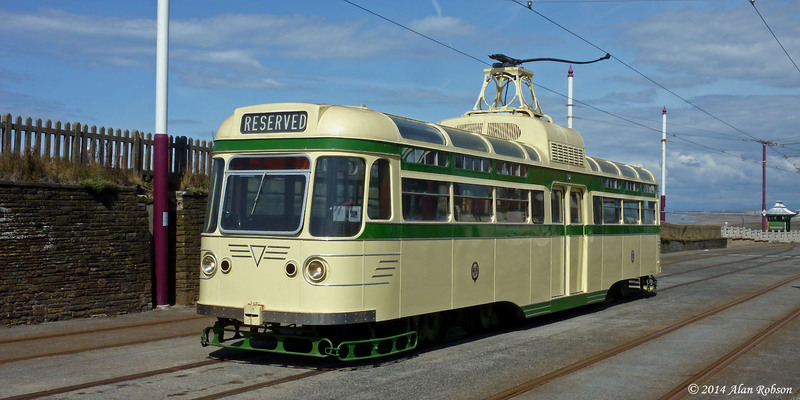 304 last operated in Blackpool in November 2010, the intervening time has been spent in open storage at Marton and also on loan to Beamish museum from October 2012 to March 2013. 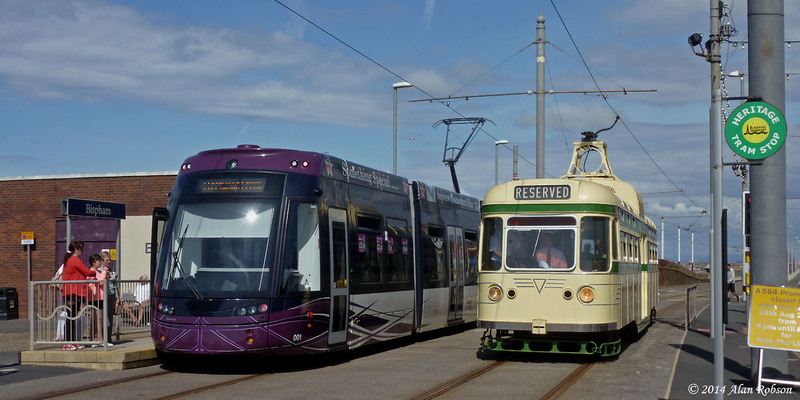 On its return to the Fylde, 304 spent some time in open storage at Fleetwood before returning to the fold at Rigby Road depot on 11th June 2013, only a day after it was announced that most of the LTT tram collection were to come under the custodianship of Blackpool Transport. 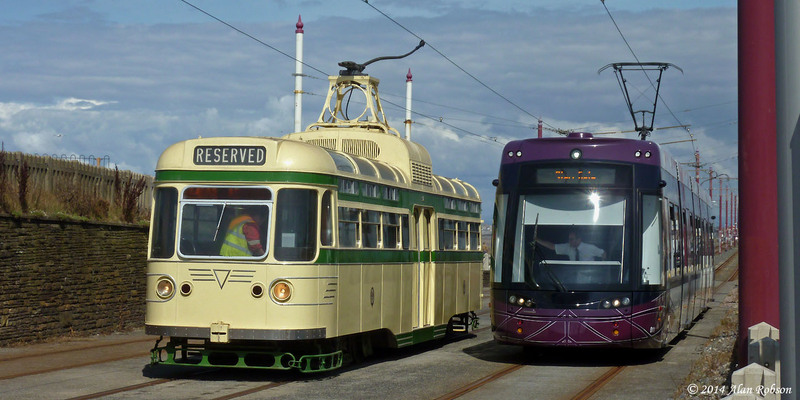 304 begin its test run along the Promenade at 1230, heading north to Bispham, after a short break on the centre track the tram headed south to the Pleasure Beach before returning to the crossover at Foxhall and back into Rigby Road depot. 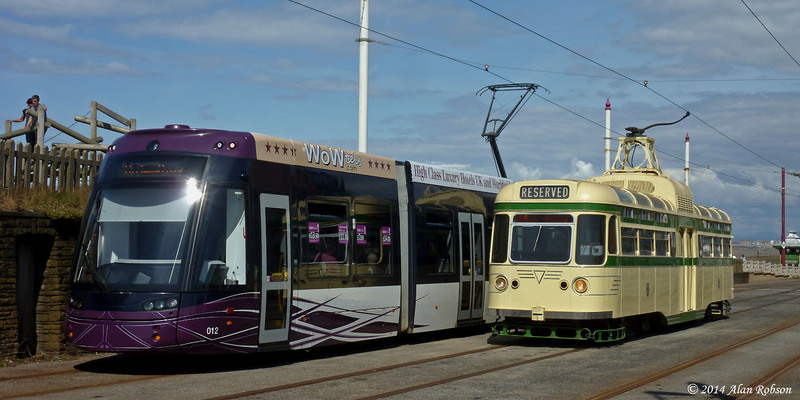 304's test run enabled the opportunity to see the Vambac Coronation running alongside the new Flexity 2 LRVs for the first time.